What does a tickle in your tummy sound like? And what happens when that tickle gradually escapes through your throat and mouth, floats on the air, flies through space, slips through the violin, and whoosh, creeps into the marimba? A violin-playing singer, a dancing percussionist and a singing dancer transport the young audience in a light-hearted encounter between dance, music and voice. 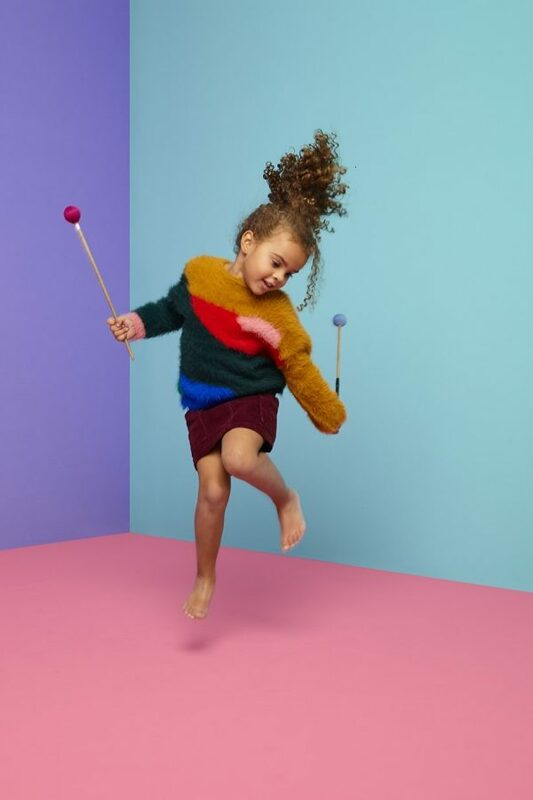 Tickle is a stirring, poetic and moving concert for young children about the expressive powers of sound and movement. It tickles all the senses. Following the international success of Glimpse, which has been performed all over the world since winning the YAMaward in 2015, we are now presenting a new production for children aged 2 to 4 and their (grand)parents. Tickle is an international coproduction of Oorkaan, Dutch National Opera & Ballet and Philharmonie Luxembourg. Tickle is a small-scale production with a maximum audience capacity of 100 children and parents per concert.